George Barker & Co. (Leeds) Ltd.
"Presence and competence" have always been the key words for the Group when it comes to after-sales service that supports Clients and meets all of their needs. Epta Service offers a wide range of solutions from system design to maintenance, to preventive troubleshooting, to constant energy performance improvement. Thanks to a widespread network of service centres, Epta guarantees an ample array of rapid, professional services. Expertise and fast action are crucial when it comes to offering really efficient after-sales services like those guaranteed by the Epta Group: our installations, maintenance calls and spare parts management systems for refrigerated cabinets or refrigeration systems reflect these values. Bonnet Névé - Epta France S.A.
Epta will be waiting for you at Euroshop 2017, the largest Retail sector fair in the world scheduled to take place on the 5-9 March 2017 in Düsseldorf (Stand A60 – B60, Pav. 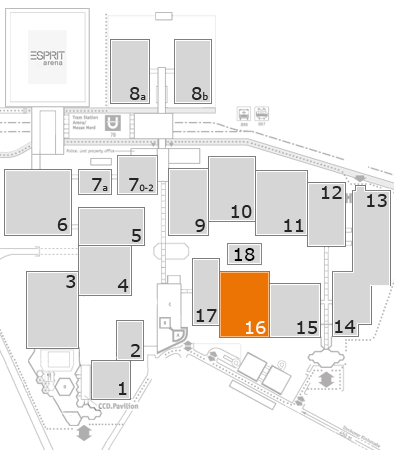 16), to present all the latest products from its brands Costan, Bonnet Névé, George Barker, Eurocryor, Misa, Iarp and Knudsen Køling, as well as the exclusive Epta Service after sales services. The event will also be an opportunity to confirm once again the Groups capacity to combine the expertise, innovation and personalisation of the solutions presented by its brands, offering final consumers an original and captivating store experience. The strategy is encapsulated in the claim “#EptaExperience is the way”. In keeping with the new concept, the Group has developed the EptaExperience App. Available from the end of February from Google Play and the App Store, it will present previews of experiences which the visitors will discover during the event. The first access will allow the user to view unpublished content, and during the five days, the app will become a digital guide to accompany users on an absorbing and interactive tour through the innovations, with in-depth explanations and entertaining moments to get to know the uniqueness of #EptaExperience. Epta, multinational Group specialised in commercial refrigeration, has a very strong and well balanced competitive position worldwide, in terms of geographic distribution and of business area coverage, thanks to its brands: Costan, Bonnet Névé, George Barker, Eurocryor, Misa, IARP and Knudsen Køling. Headquartered in Milan, Epta employs a staff of 4,000 employees, with an annual production capacity of 200,000 units and a turnover of around 767 million Euros. By combining the expertise and the unique skills of each brand with systematic research and development, the Group has the ability to anticipate the most innovative global trends to help Retail, Ho.Re.Ca and Food&Beverage sectors achieve excellent levels of performance.